This morning we have a new Stupid Deal of the Day at Musician’s Friend that might interest a few of you. It’s for the Vox Tone Garage Straight 6 Overdrive. This overdrive emulates the British flavored distortion that you’d expect from Vox. This is a tube based overdrive which has a 12AX7 preamp tube inside (and visible) through the enclosure. Listening to a couple of demos, I was impressed with the sound. Lots of the British chime. Love that tone. 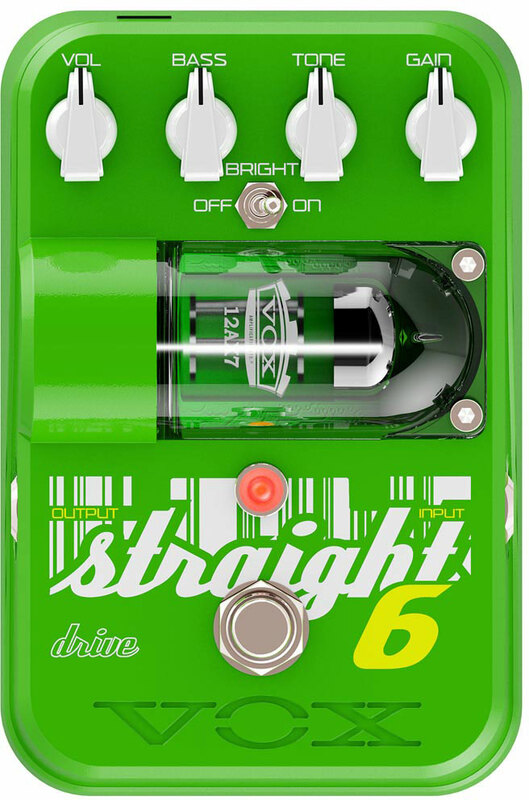 This overdrive overflows with the wide dynamic range of VOX’s signature British-flavored distortion. Turning the bright switch on will give you a sparkling British sound with defined highs, even from a guitar equipped with humbucking pickups. This is an all-around overdrive that’s a great choice for a wide range of styles. The transistor amplification circuit has also received a good deal of consideration. We’ve designed the gain control so that adjusting its position does not simply change the amplitude, but will also change the tonal character in a subtle way. From zero to max, it yields an array of highly usable and natural overdrive tones. So let’s talk about the deal. Musician’s Friend Stupid Deal of the Day for the Vox Tone Garage Straight 6 Overdrive is only $79.99! The Vox Tone Garage Straight 6 Overdrive lists at $210, and is usually available for $160, so this is 50% off the regular price. Awesome deal! If you’re looking for an overdrive, this might be a great pick up. If you own the Vox Tone Garage Straight 6 Overdrive, please let us know what you think of the pedal by commenting below!